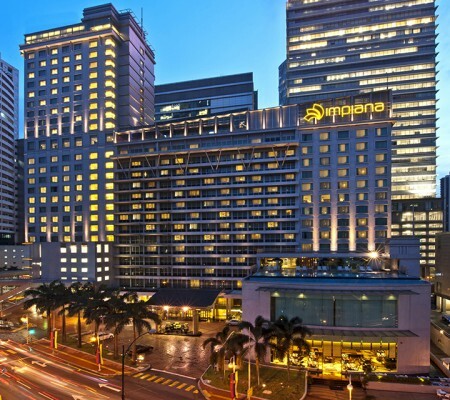 Located in the heart of the bustling city center of Kuala Lumpur, Malaysia, Impiana KLCC Business Hotel sits on a prime location within a short walking distance to SURIA KLCC, PETRONAS TWIN TOWERS, Aquaria KLCC, Kuala Lumpur Convention Center, KLCC Park and Pavilion Kuala Lumpur Shopping Center. 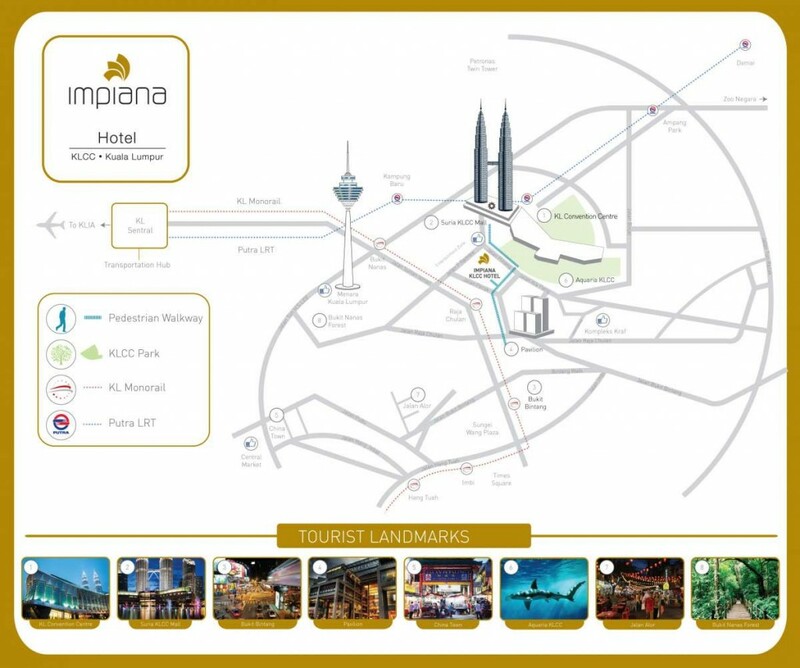 Impiana KLCC Hotel is proudly connected to the 1.17km-long indoor pedestrian bridge that also connects Pavilion KL and Kuala Lumpur Convention Centre. The air conditioned pedestrian bridge paves easy access to pedestrians towards several entrances. Additionally, access to the public transportations such as the KL Monorail and Putra LRT to get around the city and explore the various activities the city has to offer are also on that same stretch.